Hello, we have a stink bug infestation problem at our 1 year old camper that is on a seasonal site in PA. I was going to try and get rid of them using Viper. The unit is primarily white. Will this product stain the exterior of the camper? Thanks in advance. CYPERMETHRIN comes in a wettable powder form and a liquid “ec” form. The liquid form goes on invisible and will not be seen where applied so this is well suited for use on outside surfaces. 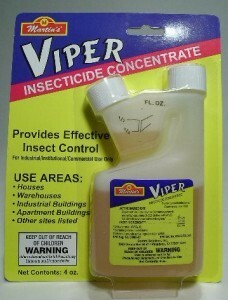 It kills fast and is highly repellent to invading pests like stink bugs so it will keep them from coming back. Now as a reminder, you should use more than Cypermethrin to solve your problem. In fact before you spray, apply PHANTOM aerosol to any crack or crevice you can find inside the camper. Phantom comes with a straw like injector that will enable you to get the product where its most needed like voids, open spaces and hidden areas where stink bugs like to nest and group. 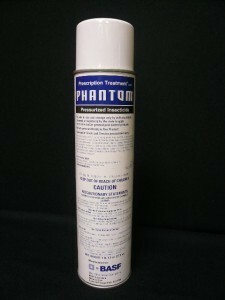 What’s unique about the Phantom is that it won’t chase or “repel” bugs like the Cypermethrin. Also, it doesn’t work quickly. In fact it will take 2-3 days to kill target pests. But this is by design. Basically as insects forage over treated surfaces, they’ll pick up some of the Phantom and in turn, carry it back to their nests sites where they will share it others. And then by the time it kicks in and starts to work, many will be affected as the treatment will have been “shared” throughout the community. So make sure you apply the Phantom first on the inside and then go ahead and spray the exterior getting as much of it treated as possible. This way if the exterior spraying chases anything into the camper, the Phantom will get it.